What’s Your Currency in 2015? Maybe your currency is physical beauty or wit or brains. But Amy counsels, “Let go of what you will never have. People who do this are happier and sexier.” True, but not completely true. I will never sing like Aretha, write like Flannery, or cook like Julia, and I’ve accepted those realities. I will never again look like my twenty-something self. All okay. Nevertheless, I believe our currency changes through the years. Sometimes we exchange yen for drachma. Or in other words, we once carried X in our pockets and now we are flush with Y. Again – all good. Or it can be. 1- Figure out our prevailing currency situation. 2- Exchange some of our old (no longer needed) currency for what we need/have today. 3 – Circulate our currency well in 2015. For example, I was once known for my baked goods. They were excellent. Although it probably gave all my children eating disorders, we had a baked dessert for dinner almost every night during their childhood and our home was a gathering place that smelled of double chocolate muffins. But now I am not known for prowess in the kitchen at all. Empty nesting and late nights at work have contributed to this shift in identity from Betty Crocker to the lady who buys pre-chopped kale salad at Costco. I am trying to accept and embrace this. My currency used to be Active Mom. I ran Teacher Appreciation week for over ten years in our elementary school and even my church personnel committee once included the line “Jan is a good mother” in my annual review. Now I live in a community who has never known me as the mother of young children and it’s as if I’ve never had them. We are coming off of a holiday week during which many returned to their parents’ houses where they backslid into the currency of their teenage years. Once again, we became “the smart one” or “the moody one” or “the funny one.” Actually we traded in those roles long ago. We’re in different places now. Imagine figuring out what’s especially precious and valuable about ourselves at this time and place, and then spreading it around. It’s possible that our currency has changed. 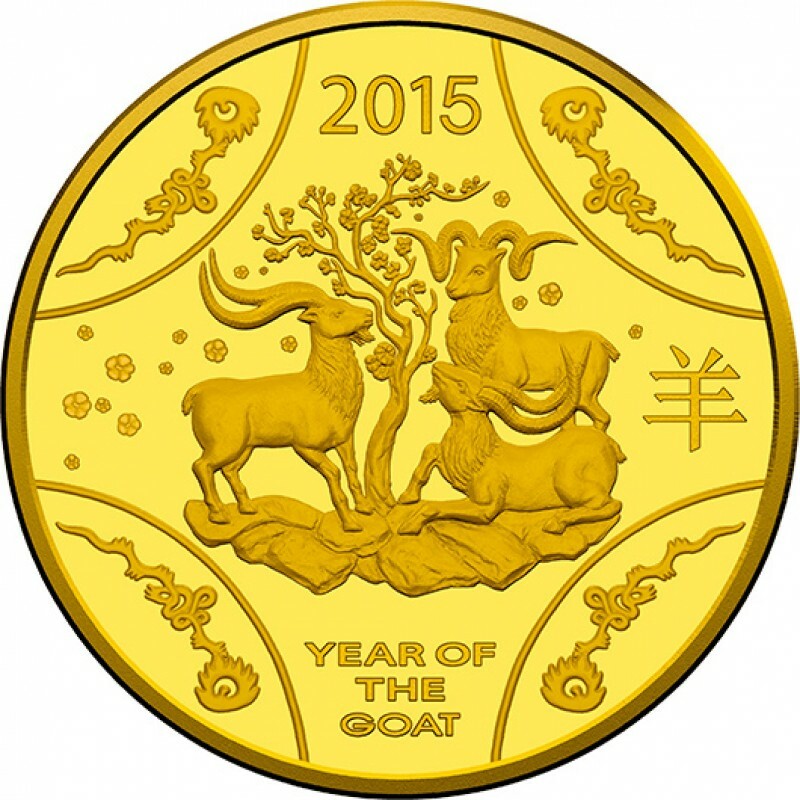 Image of a 2015 Australian Gold Proof Year of the Goat coin. It was all I could do not to include the question “What’s in your wallet?” in this post. Thanks for this – I never thought of it that way, but it is so true for me, and my family. Maybe for my church, too. Blessings …. Pingback: » What’s Your Currency in 2015?